The Law and Search Dog Deployment. - Peace River K9 Search and Rescue, Inc.
To an inexperienced eye, a search dog may appear to be any dog that can run around and stumble into someone or something. If it were that easy, we'd see many more search dogs in service. To use an analogy, if a S.W.A.T. team had a perimeter set up and were waiting out a suspect to hit the containment line, one wouldn't assume that anyone could do their job because they are just "standing around." It may appear the S.W.A.T. team is doing nothing, but they do have a strategy and know exactly what they are doing. They have maintained a high level of training and proficiency in order to respond appropriately when they are needed. You can imagine the legal ramifications of people pretending to be a S.W.A.T. team. Unbeknownst to many, the same holds true for search teams. In a search gone wrong, a victim and/or their family has the opportunity to sue nearly anyone involved in the search, including the volunteer searchers and dog handlers. One way to help protect yourself is to have a documented proof of proficiency. That is, certification from a qualified agency or organization that the search team and your dog can perform the duties it is undertaking.These documents should include certifications from a nationally recognized organization, proof of in-house or continuing evaluation, maintenance and/or training records. *Not starting the search or rescue effort soon enough. Generally in this scenario, delay causes the victim to die, be injured further or otherwise suffer from the delay." (Waiting too long before available, qualified dogs are brought in.) Often the reason for the delay can be attributed to: *Authorities in charge of the rescue refuse to call or deny participation to properly qualified rescuers. In this situation, due to false pride, organizational jealousy, or other reasons, the services of properly qualified personnel or teams are rejected or are not called out even though they are available and may have actually volunteered to assist. The victim dies or suffers injury because those in charge cannot do the search and/or rescue in a timely and efficient manner." Along with this, *Failure to follow the plan or SOP of record. In this situation the plan calls for doing a certain thing or using a certain procedure, it is not used or is improperly used, and the victim is injured or dies." (Qualified dogs are brought in, but not utilized correctly.) Good search managers will listen to the concerns of their dog handlers. Laws stating that an individual cannot be held liable for injuries/damages resulting from trying to help someone in need, only protect persons who accidentally encounter someone needing assistance, not when involved in an official rescue effort. "SAR personnel lose this status when they volunteer their time and efforts as part of a planned response............ If the SAR person breaches that duty, he/she can be held personally liable for civil damages." Dogs on a search should be qualified search dogs, as their handlers could be held liable for the dog's performance, or lack thereof. Current certification is the dog handler's best protection if called to testify in court. With all the potential difficulties that can arise during a search, from natural hazards to potential litigation and liability, one may ask why would anyone ever volunteer? Thankfully, there remain good hearted people who spend hours honing their skills, in order to voluntarily serve the public, “So Others May Live.” Fortunately, there are laws that protect those who willingly serve. In 1997, congress enacted the federal Volunteer Protection Act (VPA) which provides protection to nonprofit organizations and governmental entity volunteers for harm caused by their acts or omissions on behalf of the organization or entity. Protection under VPA does not apply if the volunteer engages in willful or criminal misconduct, gross negligence, reckless misconduct, or a conscious, flagrant indifference to the rights or safety of the individual(s) harmed by the volunteer. While the VPA does not protect a volunteer from being sued, it does limited their liability when they are acting within the scope of the duties assigned to them by the organization. Many states have enacted Good Samaritan laws similar to the VPA. Volunteers may enjoy the protection of which ever law offers more protection, the state or federal law. Florida’s Good Samaritan law protects any person, including those licensed to practice medicine, who gratuitously and in good faith renders emergency care or treatment in, a) Direct response to emergency situations related to and arising out of a public health emergency declared pursuant to s. 381.00315, b) A state of emergency which has been declared pursuant to s. 252.36 or, c) At the scene of an emergency outside of a hospital, doctor's office, or other place having proper medical equipment, without objection of the injured victim or victims. In Florida, this means that a Good Samaritan shall not be held liable for any civil damages as a result of such care or treatment or as a result of any act or failure to act in providing or arranging further medical treatment where the person acts as an ordinary reasonably prudent person would have acted under the same or similar circumstances. 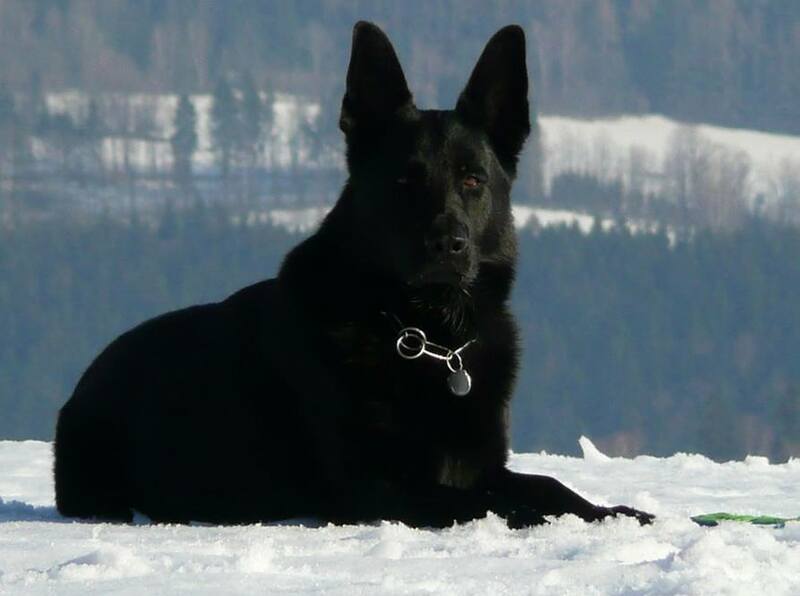 In 2013, the United States Supreme Court heard two cases pertaining to the reliability of K9s when used in searches. Prior to 2013, the Supreme Court had only entertained 3 other “sniff” case, 1983, 2000 and 2005. In Florida v. Jardines, (2013) March 26, 2013, the Court addressed what constituted “curtilage” of a person’s home, and in particular, if a search of an open front purchase without a search warrant violated the 4th Amendment. 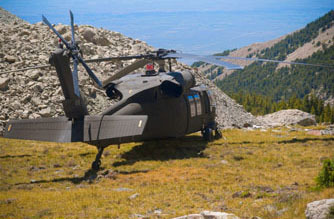 For Search and Rescue personnel, this decision provided guidelines to be followed when assisting with a search. 1) When using a K9 to “search” you have to be clear about where you are in respect to a private home, and the purpose of what you are doing. 2) If, you are searching for evidence of wrong doing in a particular home at the request of a police officer, you cannot enter the porch or home of an individual without a warrant. 3) If you are incidentally led to a person’s front porch or home, leading you to believe there is evidence (e.g., human remains) you should stop and request instructions from higher up. 4) A SAR team can enter private property, without prior permission only when there is reasonable certainty that life or property is in danger and there are no signs posted, and they must leave property immediately if requested by an owner to do so. The second case determined by the United States Supreme Court addressed the criteria for determining when a search dog is reliable. 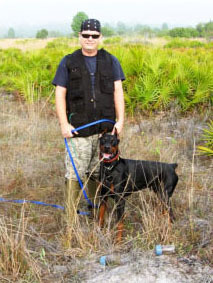 In, Florida v. Harris, (2013) February 19, 2013, the Court unanimously found that that the dog's certification and continued training are adequate indication of his reliability, and thus is sufficient to presume the dog's alert provides probable cause to search, using the "totality-of-the-circumstances" test. This decision overruled the Florida Supreme Court which required "a strict evidentiary checklist", where "an alert cannot establish probable cause ... unless the State introduces comprehensive documentation of the dog’s prior 'hits' and 'misses' in the field ... No matter how much other proof the State offers of the dog’s reliability, the absent field performance records will preclude a finding of probable cause." As a result, when, subject to challenge by the defendant, the police provide evidence of a drug-sniffing dog’s satisfactory performance in a certification or training program, the dog’s alert can provide probable cause to search a vehicle. For search and rescue personnel and K9 Handlers, the key language from Harris states that if a bona fide organization has certified a dog after testing his reliability in a controlled setting, a court can presume (subject to any conflicting evidence offered) that the dog’s alert provides probable cause to search. Moreover, the same is true, even in the absence of formal certification, if the dog has recently and successfully completed a training program that evaluated his proficiency in locating his trained target odor. These two cases have changed the face of K9s for both law enforcement and search and rescue. Over the next several years, case law will further define how these two landmark decisions will change the scope of the K9s reliability and the training and certification necessary to meet legal challenges. (a) “Police dog” means any dog, and “police horse” means any horse, that is owned, or the service of which is employed, by a law enforcement agency for the principal purpose of aiding in the detection of criminal activity, enforcement of laws, or apprehension of offenders. Fire Marshal for the principal purpose of aiding in the detection of flammable materials or the investigation of fires. (c) “SAR dog” means any search and rescue dog that is owned, or the service of which is utilized, by a fire department, a law enforcement agency, a special fire district, or the State Fire Marshal for the principal purpose of aiding in the detection of missing persons, including, but not limited to, persons who are lost, who are trapped under debris as the result of a natural, manmade, or technological disaster, or who are drowning victims. (2) Any person who intentionally and knowingly, without lawful cause or justification, causes great bodily harm, permanent disability, or death to, or uses a deadly weapon upon, a police dog, fire dog, SAR dog, or police horse commits a felony of the third degree, punishable as provided in s. 775.082, s. 775.083, or s. 775.084. (3) Any person who actually and intentionally maliciously touches, strikes, or causes bodily harm to a police dog, fire dog, SAR dog, or police horse commits a misdemeanor of the first degree, punishable as provided in s. 775.082 or s.
(4) Any person who intentionally or knowingly maliciously harasses, teases, interferes with, or attempts to interfere with a police dog, fire dog, SAR dog, or police horse while the animal is in the performance of its duties commits a misdemeanor of the second degree, punishable as provided in s. 775.082 or s. 775.083. (5) A person convicted of an offense under this section shall make restitution for injuries caused to the police dog, fire dog, SAR dog, or police horse and shall pay the replacement cost of the animal if, as a result of the offense, the animal can no longer perform its duties. 2) Not having background checks. This was the result of a directive from the Florida Inspector General’s Office that stipulated all volunteer groups that do not require background checks should have no access to grant monies and liabilities of using such groups would not be covered by State. Of course, this started a panic, not only in the immediate need for having to require checks, but also what type of checks would be required (in Florida we have Level 1, State check & Level 2 Federal and fingerprint checks), and setting a standard as to what transgressions will cause denial and what are acceptable, as well as who pays for the background check? Many teams do not have the funding to pay for the more comprehensive and elaborate background checks nor does the local Sheriff’s Office want to absorb the cost of 30-40 background checks. This leaves many SAR Teams to self-fund the background checks, require new applicants to supply them at their own expense or not have background checks at all. Background checks can be a good thing. They help with the public's trust and perception that these volunteers are of good character and trustworthy. However, even with checks, bad actors that have not run a foul with the legal system can still filter in. But an Agency that has implemented a background check/evaluation policy has demonstrated its due diligence to ensure the public good and thereby absolve themselves of some culpability. The main concern here in Florida is to ensure that the response to an emergency is not hindered again by this background check problem and make sure that our vulnerable population is protected. In order to correct this issue it is recommended that future Memorandums of Understandings (MOU) specify if background checks will be needed and what level of check will be accepted. There is a lot of confusion in the SAR world about the use of certification and whether a team is fit to be in the field or not. One of the lessons learned by the SCOTUS ruling of Florida Vs Harris is that a K9 team is the sum of two parts - Training (maintenance) and Certification. 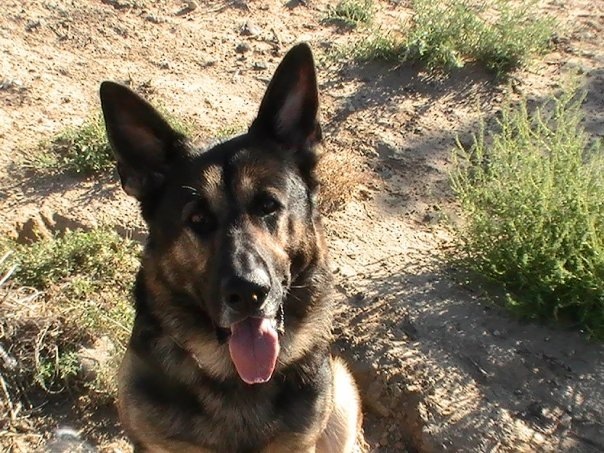 The ruling that was handed down clearly showed that the K9 team must be in a Bone Fide training program AND be tested in a controlled environment with the onus of the courts decision leaning more toward the importance of training than certification. Then why have certifications? At Best a certification is only a snap shot of of the condition of the K9 team at a given time. It is in no way a guarantee that the team is always at that level of performance and the reason so many certifications have a time limit of 1 - 2 years. It is recording the continued training that shows the team is still functional and why training logs are so important. However certification DOES validate that the team DID reach a level of performance at one time. It is also important to note that not all certifications reflect the missions and challenges a K9 team will face while in the field and the team seeking certification needs to take this into account when looking for a certifying agency. The Myth of the National Certification - ​There are many who like to claim that their K9 is "Nationally Certified" but what are they really saying and is it even legal to make such a claim? Firstly, in order for an organization to be considered National, they must have representation in at least 3 different states. This brings the question that if an organization is operating in 3 states or only in a regional fashion, how can they be considered National? Secondly these organizations are private organizations and not mandated by any Federal or State statue that gives them authority to set or enforce any best practice or perceived industry standard. These organizations are really nothing more than specialty dog clubs that have formed either as a Non profit or in some cases a For profit corporation. They vote officers and create by-laws and standards that they feel are correct for the particular discipline they choose to offer certifications. They recruit their Master Trainers based on their own criteria and sell memberships to those who willfully put themselves under their scope. But My Certifying Agency is listed in NIMS that Makes it a National Certification? Well in reality and legally it does not. NIMS is a National Management System that offers some standardization and commonality allowing different agencies to come together and speak the same language for a coordinated effective response to disasters both large and small. NIMS does offer some Typing standards (known as the 508's located on the NIC) and does list some agency certifications they will accept when FEMA is running the response. These accepted certifications were decided upon by a committee specifically set up to look at those K9 certifications that closely mirror what FEMA/NIMS wants during their response. Why are not ALL certifications accepted? Because not all certifications are the same. However many certification agencies will set their standards close to what FEMA issues in order to have their certifications listed in the 508's which causes a perceived standard where none really exists. FEMA does hold certification events for their TASK Force Rubble K9 teams, but that is a far cry from where most Volunteer SAR teams operate. In Florida, Search is a local function handled by the Law Enforcement Agency having jurisdiction. Mission Ready - As certification is no guarantee of continued performance it is imperative that a good training plan be developed, documented and enforced. Solid volunteer SAR teams also need to develop and document an evaluation process that can be enforced by an outside evaluator and reflects the skills and mission needs that the team will face in their response area. It is advised that you have your training logs, training plan and evaluation tools reviewed by a competent attorney who can keep you up to date as to case law changes that may affect your training program. By having these tools in place, the jurisdictional authority you respond to will have confidence that your team is Mission Ready. *Taken from The Handbook for Managing Land Search Operations, by Robert "Skip" Stoffel, Published by Emergency Response International Inc.